Kari Tsukumo, known as Akari Tsukumo (九十九(つくも) 明里(あかり), Tsukumo Akari) in the manga and Japanese versions, is the older sister of Yuma Tsukumo and daughter of Kazuma Tsukumo and Mira Tsukumo. She and her brother live with their grandmother Haru. Kari doesn’t let Yuma Duel, according to the manga, Astral thinks it has something to do with the Emperor’s Key. 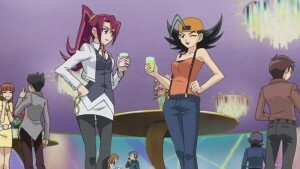 However, Haru seems to allow Yuma to Duel without Kari finding out. In Episode 16, she discovered that Yuma had been Dueling despite her opposition, but apparently does not mind and now permits him to Duel. Kari can be a tad self-centered at times, occasionally sending others out to find her scoops to make reports on, even if it is dangerous or hazardous. She can also be a tad aggressive, showing to be willing to physically attack Yuma when she caught him dueling. Despite this, Kari genuinely cares for her little brother, and seems to be rather protective of him. She made a promise to her parents that she would do what she can to take care of Yuma. In the past, Kari and Yuma were very close and didn’t like the fact that their parents went on so many trips. When her father injured himself during a snowstorm accident, she noticed the pendant in his hand as he was being taken to hospital. Kari Tsukumo was also very jealous of the attention that Yuma received from their parents as he is the youngest. 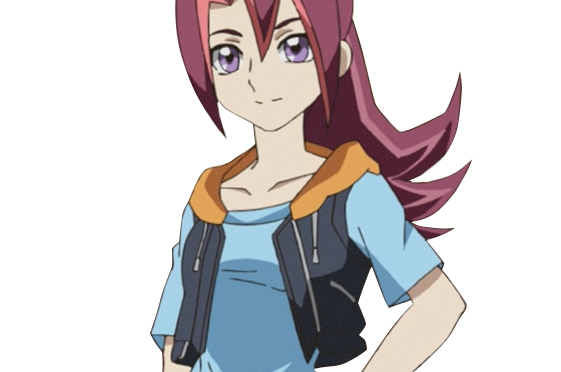 Her parents notice this and tell her that even though she thinks it, it isn’t true and that they pay more attention to Yuma because he is frail, and that they will rely on Kari to look after Yuma while they go on trips. While Kari was at high school, she developed a relationship with Charlie McCay, a gambler who was known for being a daredevil.